Fergus Craik received his B.Sc. in Psychology from the University of Edinburgh in 1960, and his Ph.D. in Psychology from the University of Liverpool in 1965. He emigrated to Canada and joined the Department of Psychology at the University of Toronto in 1971, where he has served as a member of the faculty for more than 35 years, including a 5-year term as Chair. In 1996, he was awarded the Glassman Chair in Neuropsychology, in 1997 he received the rank of University Professor, and in 2000 became a Senior Scientist at the Rotman Research Institute of the Baycrest Centre for Geriatric Care in Toronto. Craik’s research, which has focused on characterizing basic processes of memory and how they change with age, has had enormous impact on the field. His early theoretical and empirical work outlining and documenting the benefits of deep, semantic processing on memory is now universally accepted as a fundamental principle. Craik has also been in the forefront of theoretical and empirical work on aging and is the author of one of the most influential theories of cognitive aging-the idea that memory and other cognitive processes will be affected by age to the extent that they place demands on declining attentional resources. In recent years, Craik has collaborated on neuroimaging studies that have revealed neural correlates of many of the cognitive processes that he had postulated earlier and led to an increased understanding of the role of prefrontal cortex in encoding and retrieval. Craik’s influence extends beyond his own scientific contributions through his many collaborations with colleagues and students: he has mentored more than 50 graduate students and post-doctoral fellows, has co-authored more than 140 journal articles and edited 10 books. 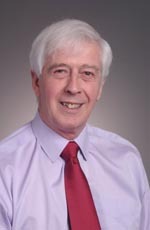 Craik has received many honors and awards in the course of his career including the Distinguished Scientific Contribution Award from the Canadian Psychological Association (1987), the William James Fellow Award from the American Psychological Society (1993), the Hebb Award from the Canadian Society for Brain, Behavior & Cognitive Science (1998), and the prestigious Killam Prize for Science (2000). In May 2008, Craik was elected a Fellow of the Royal Society. * The FABBS Foundation would like to thank Dr. Glisky and Dr. Schacter for nominating Dr. Craik for this honor and for leading the effort to spread the word about his nomination. Would you like to honor Dr. Craik? It’s not too late to have your name added to the list of donors! You can make your donation to Dr. Craik’s In Honor Of… campaign at anytime.